Costiera Amalfitana Part 2: Praiano – Travel. Eat. Repeat! I hope you have enjoyed my previous post about the Costiera Almalfitana Part 1, where we covered our way from Napoli to Positano. If not, you can click here! 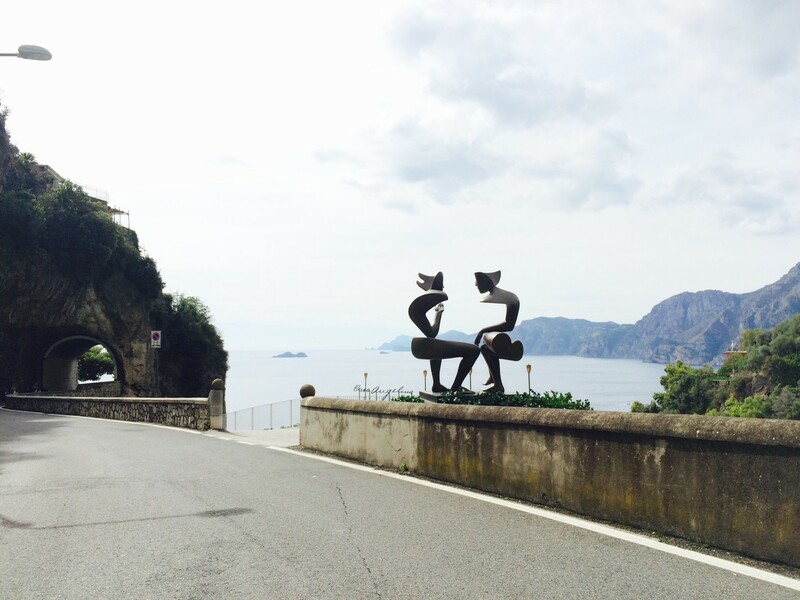 Now it is time to keep going on our journey through the Amalfi Coast. My all time favorite town in the region is Praiano. It is a small and charming village situated between Positano and Amalfi, which makes it a perfect location to stay if you want to get to know the area. 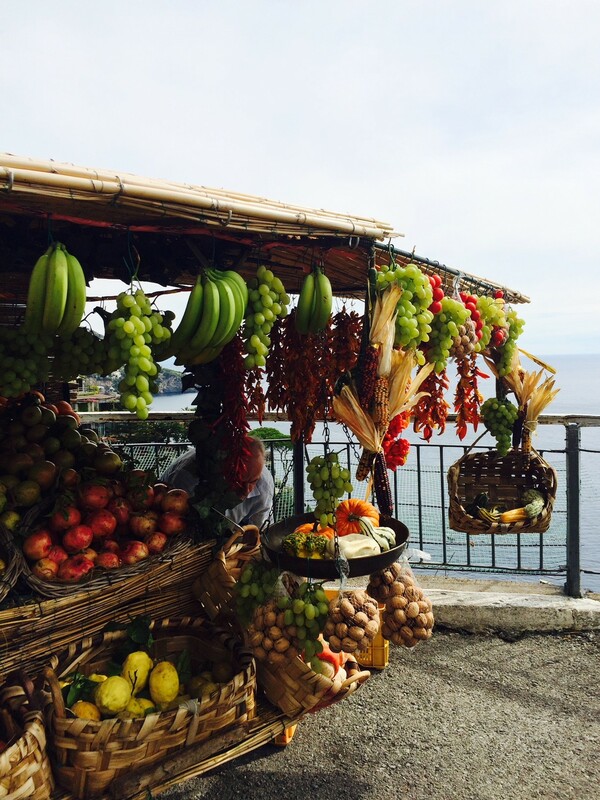 As you approach Praiano, take your time to stop at the vendors on the side of the road for some fresh produce – localy grown – as well as everything “limoncello”! You will find scented lemon soaps, artisanal bottles of limoncello, limoncello chocolate… you name it! Not to mention the breathtaking views of the coast, so take it all in. There are many options to choose from when it comes to where to stay. You may want to rent a villa or home for your stay. You may want a full service hotel with all the luxury or you may want something more charming that feels like “home away from home”. I prefer the latter so for that reason, my recommendation is the beautiful La Maurella Luxury Relais. This small boutique hotel is situated right along the coast with a gorgeous view of the ocean. It has only 5 bedrooms with a minimalist approach to decor as to create that “home feeling”. The bedrooms are elegantly decorated with a modern beach vibe, without that feeling of a hotel room. There is parking available – a rare thing along the coast – and it is located near a bus stop which will make your life easier when traveling to the surrounding towns. Praiano has one main beach – Marina di Praia – which is simply lovely. It is a “rocky” beach so make sure you bring flipflops that can get wet or water shoes. The water is very calm and the temperature is always perfect: not too cold and not warm either. This is where you go if you plan on renting a boat for a fun day in the ocean – which I absolutely recommend doing. Get there early if you want to find boats available, or reserve them in advance – all the information can be found on the hyperlink above. You may also want to try some snorkeling or cliff diving for the more adventurous souls! There are a couple restaurants on the beach but a MUST GO is the Trattoria D’Armandino. I will start by telling you about Armandino. He is the sweetest restaurateur you will ever meet. He is so passionate about his restaurant and his food that you might just want to eat there every day – I basically did! Every time I go back to “la praia” (how the locals call it), it is my first stop for lunch. Once I got there and it was packed… not a table available. He then went to get a table all the way from the back and plopped it right on the water for me to have dinner. Truly one of a kind! Now on to the food: by far the freshest seafood I have ever tried. The fisherman go out every night and come back with their findings directly to the kitchen. I have witnessed them coming out of their boats countless times with buckets full of delicious shellfish, fish and much more. The dishes are typical from the region and always full of taste and locally grown ingredients. The restaurant is literally on the water so it basically does not get much better than that. My all-time favorite is the Linguini alle Vongole! If you have a sweet tooth like me, you will appreciate this next tip. Angelo Pasticceria opened shop around 2 years ago and has become the “go-to” location for every party, birthday celebration or any any excuse to order something marvelous. They make the most delicious pastries you can find in town. Whatever you do, please try their sfogliatella!!! It is a rich pastry typical from the region of Campania which resembles a stack of thin leaves filled with cream… Yum! If you decide to follow my advice on that boat rental I mentioned before, make sure you save your appetite that day! You must have lunch at a restaurant that is only accessible by boat: Da Adolfo. This small piece of paradise is located in the “Spiaggia di Laurito” (or Laurito’s Beach) and it has been around for 40 years. You will most definitely need a reservation otherwise you will not be able to get a table. I would suggest booking your reservation at the same time you book your trip to the Amalfi Coast. They also send a boat to Positano to pick up their customers with reservations so make sure you plan it in advance. The story behind Adolfo Bella, the owner, is the most interesting. A war veteran, Adolfo lived as a prisoner on an island in Greece during World War II where he developed a passion for the ocean and nature’s wild untouched beauty. When he returned from the war to his hometown of Positano, he stumbled upon the wild beach of Laurito – still untouched by men at the time. That is where he set his heart and decided to build a restaurant in an environment that would remind him of his years living in an island. If that alone doesn’t captivate your interest, then let me tell you about the food: You will eat more during this meal than you will ever be able to remember in your life. Best.Food.Ever. If you are visiting Praiano from the end of July to the first week of August, one event you should not miss is the Luminaria di San Domenico. It is a historical and traditional event celebrated every year from August 1st to August 4th at the Convento di Santa Maria a Castro, where the image of San Domenico is worshiped. During the event, 2000 candles are lit and decorate the Piazza San Genaro creating a spectacle that can be seen from the surrounding towns. Throughout the four days of the event, there will be several music performances, folkloric and cultural dance presentations, acrobats, pyrotechnics and more. I hope this post has convinced you to start planning your next trip to the Amalfi Coast to the town of Praiano! I appreciate any comment or feedback you would like to share. As always, keep enjoying life, dream often and travel some more! Isn’t that region just fantastic? I never get tired of going back. And each time it only gets better! If you haven’t yet, then I would say you must add Praiano to your bucket list! The entire region is simply fabulous and the food is to die for! Glad I could inspire you to visit Praiano one day! 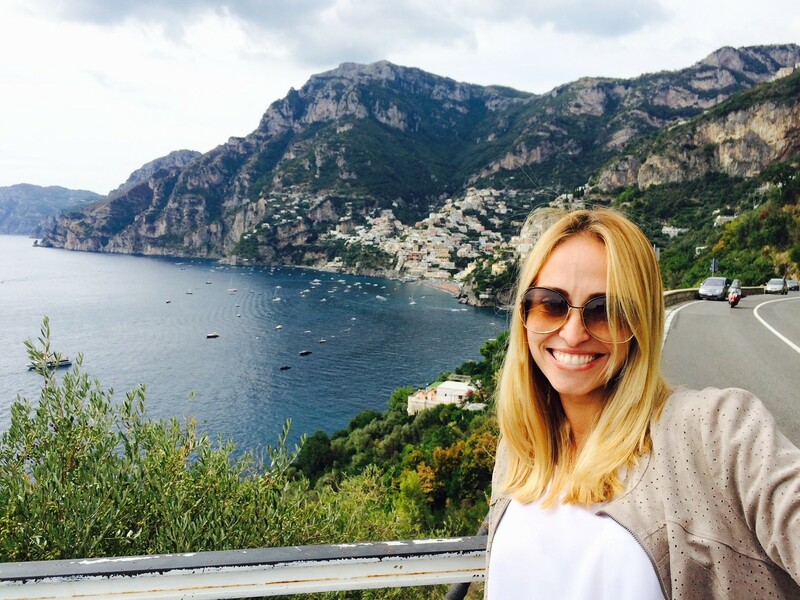 I really enjoyed reading your blog, I met you in Capri during the jk yoga retreat. I loved Capri so much that I travelled the coast the next fall. We stayed above Positano in Nocelle, a hidden gem. Keep your travels coming, it’s so joyful. Hi Wendy! Yes, of course I remember you! The Amalfi Coast is a true gem and once you go, you just keep going back =) I have been back there a couple of times since Capri! Which, btw, will be my one of my next posts!!! So glad you enjoyed reading it! Hope all is well and Happy Holidays!!! Amazing pictures there!! Keep it up! !